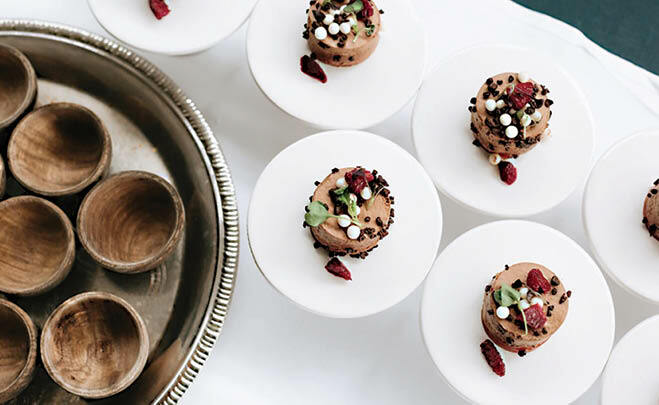 Put your wedding at the top of the foodie chain with Travail’s new catering service. That’s it; there is no step two. 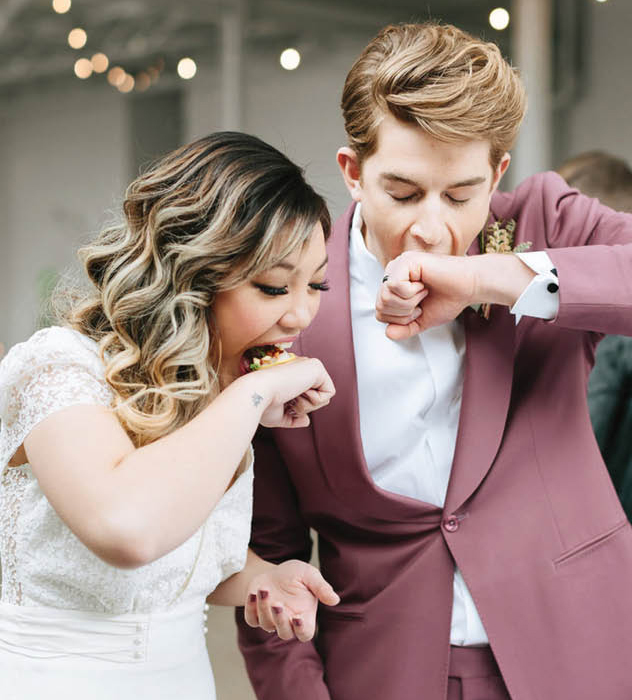 Travail recently launched a catering operation that is just as delicious, just as innovative and just as interactive as the James Beard Award-nominated Travail Kitchen & Amusements. “I think the main thing about our catering program is also what makes our kitchen and restaurant unique—it’s exceptional food that is delivered in an engaging and unique way,” says Megan Leafblad, Travail’s director of operations. Their food stations involve all the senses. Certainly, it’s about the menu, but it’s also about the experience—think make-your-own dippin’ dots and eating appetizers off your hand. If your wedding was Yelp reviewable, it would get five stars from your guests. “We’re for the couple who really cares about the food and experience. If their goal is flowers and beautiful pictures and, yes, people need to eat, then we probably aren’t the caterer for them. 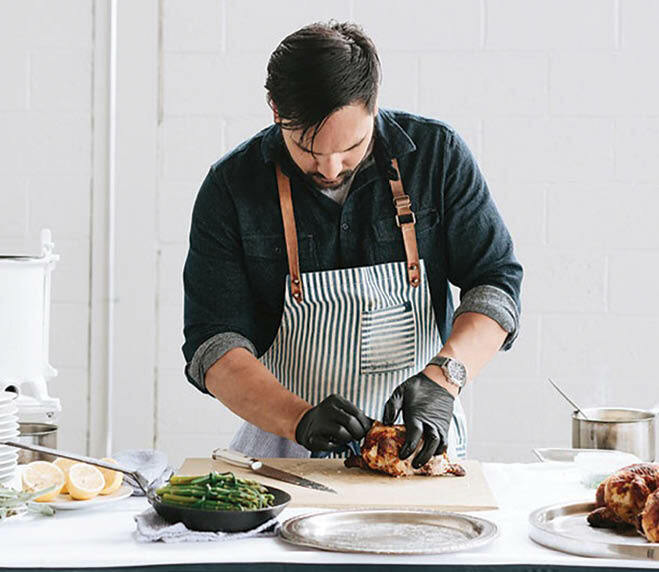 But if the coming together around food and experience is what matters to them and they’re willing to try something new, we can throw a darn amazing party,” Leafblad says.